In the past, video conferencing solutions were a luxury that many businesses hesitated to adopt. When first released, these systems were considerably expensive and often required significant up-front investments to support their processes. Now, however, there are more critical use cases for video conferencing than ever before, helping to make this a mainstream technology in many industries. According to recent findings from Transparency Market Research, this trend isn’t expected to slow down anytime soon. In fact, the global video conferencing market is poised for significant growth over the next few years. Researchers predicted that the market will reach a value of $7.8 billion by 2023, experiencing an 8.5 percent compound growth rate and nearly doubling its 2014 value of $3.7 billion. More than 90 percent of communication is non-verbal, meaning traditional conference calls can leave much to be desired – or lead to miscommunication or misunderstanding. The average conference call lasts around 23 minutes, whereas the typical video conference spans 35 minutes. Face-to-face communication can help keep participants better connected and engaged. 75 percent of executives agree that video conferencing will eventually replace traditional conference calls. 70 percent of employees would choose video conferencing over travel. This approach can help businesses save as much as 30 percent on travel expenses. These numbers make it clear that while reducing the need for travel is a main advantage of video conferencing, it isn’t the only benefit this technology can offer. Video conferencing requires considerable WAN support to ensure its performance. Overall, latency refers to the time it takes for data packets to get from one point in the network to the other. For instance, a WAN that is under considerable strain could create considerably latency as it attempts to keep up with traffic levels and necessary routing activities. This can significantly impact video conferences. In the realm of communication, latency refers to a delay in sound or image. 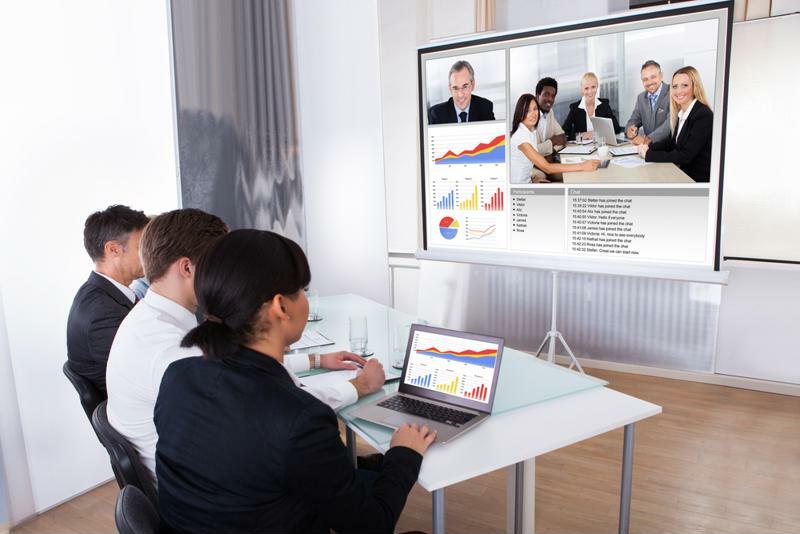 This can impact the timing of video conferences, as well as the visual parties are seeing. When the WAN cannot route these data packets fast enough, the picture or audio can become delayed, causing users to miss key phrases, or talk over one another. Jitter is another frequently experienced issue with video conferencing which typically impacts the visual element more than the audio of the call. Jitter can also result in slow performance, flickering screen images as well as clicks or other irregular audio effects. Packet loss, where the data packets associated with an application don’t reach their designated destination, is perhaps the worst of the three. For video conferencing applications, packet loss can cause a blocky, pixelated image. In more severe cases, packet loss can also result in hampered connections and dropped calls. Not only are these performance problems extremely frustrating for everyone involved in a conference, they can significantly impact the way users leverage video conferencing solutions. In some of the worst cases, these issues could prevent the use of the technology altogether, directly impacting employee productivity as well as the ROI of the solution. The best way to address these problems is with a solution that pinpoints the root cause. Software defined technology like a Talari Networks SD-WAN, measures each path across the network for these specific metrics. Latency, jitter and packet loss is continually monitored alongside the overall availability. These capabilities are bolstered even further with the solution’s unique customization features. Companies can establish policies to govern their network processes that align with their needs, ensuring that the data associated with critical apps like video conferencing is prioritized over less important network traffic. To find out more about how a Talari Networks SD-WAN solution can improve your business’s video conferencing investment, contact us today for a custom demonstration.